Identify states where NFA items are illegal and “defense to prosecution” (DTP) is the only protection for NFA owners. Work to repeal and replace “DTP” with statutes that affirmatively protect ownership of NFA weapons. Identify states that do not allow hunting with suppressors and enact legislation to allow such activities. 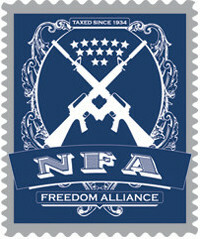 Remove state-level prohibitions against the possession of NFA items. This entry was posted in Resources by gwebs. Bookmark the permalink.